Living in hostels for most of their first two decades, many Adivasi children have to learn to adapt to their own home, say community elders. 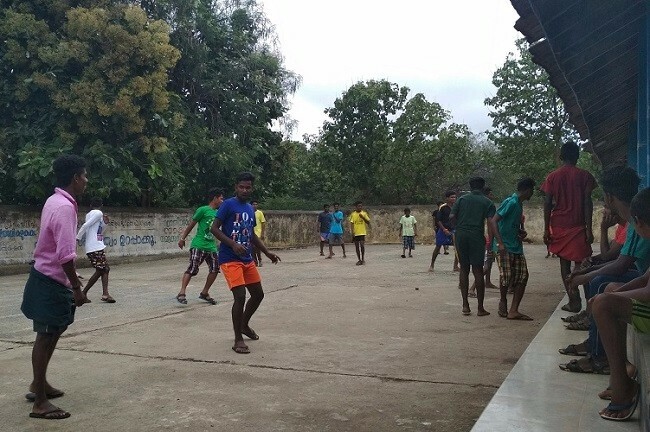 Behind him, a commotion breaks out in the courtyard of the Scheduled Tribe Boys Hostel in Agali, as at least 20 students kick-start an impromptu game of football, with a blue plastic ball. There are children as young as five or six – studying in Class 1 – playing with young men aged 20, studying in the final year of their Bachelor’s degree. Like many of the youngest students here, 22-year-old Sunil left his ooru (hamlet) Anawai when he was just five years old, to join a boys’ hostel. Indeed, most of the students from the three Adivasi communities in the region – the Irulas, the Mudugas and the Kurumbas – have spent nearly their whole student lives living in hostels like this in the Attappady region of Kerala’s Palakkad district. A rigorous warden, called Unni Sir by the students, keeps close watch on his wards at the Boys’ Hostel in Agali. But he admits that he needs help. “We have primary, upper primary, high school, (junior) college and degree students all living here. We have to deal with each one in a different manner,” bemoans the warden. Unni not only manages the students, but also has a number of other duties like recording and securing purchases of ration, school uniforms, and medical supplies for the hostel. Each evening, he ends his shift with a headcount of the students, after which the keys of the hostel are handed over to a watchman for the night. The sixteen Scheduled Tribe hostels in Attapady are managed by the Integrated Tribal Development Project (ITDP), run by the Kerala state government. In most of the hostels, a solitary warden – usually working on daily wages – is supported only by a watchman, a handful of cooks and a part-time sweeper. Only four Scheduled Tribe hostels in Attapady have a permanent warden. A state-appointed counsellor is required to visit the hostels every week, but Unni is yet to meet the counsellor since taking over as warden of the hostel in Agali a month ago. As demand for hostels grows, younger students sometimes find themselves crammed six or seven to a room. Though the sanctioned strength of all the Scheduled Tribe Hostels in Attapady is 790, more than 2,000 children now reside there. The disparity is especially evident in the girls’ hostel in Agali, which houses 206 students against the sanctioned strength of 90. “We are forced to take them in. They want residential facilities and are forced to live like this in order to go to school,” says Krishna Prakash, Project Officer at the ITDP that oversees all hostels. With the existing hostels overcrowded, PV Radhakrishnan, former Project Officer at the ITDP, sent proposals to both the centre and state government in 2014 requesting more hostels to be built, all to no avail. “We need more hostels and we need more personnel managing them,” says the now retired Project Officer. The current project officer reiterates the demand for hostels and personnel to move closer to UNICEF recommended standards of one cook for every 20 students and a bathroom for every ten students. However, he confirms that no new hostels are under construction as the state government has not yet approved any of the proposals put forward. “For building new hostels, the government does not have land and prising land away is difficult due to the contentious land-ownership history of Attapady,” Krishna explains. The relationship between tribal communities and settlers in the region has been a fractious one, with tribal representatives accusing settlers of alienating them from their rightful land. A 1975 Act for restoration of alienated land in Attapady back to Adivasis was reversed in 1999, in an amendment that earned the then President’s approval. Adding on to the infrastructure woes is a lack of coordination between the teachers at school and the part-time tutors in the hostel. This makes for a disjointed learning experience for the children living in hostels. Not surprisingly, several Adivasi children drop out of schools and later join bridge schools to continue their education. Thankaraj, a teacher at the Agali Government High School, says that this situation will not change unless teachers and tutors find ways to better motivate students. “Teachers and tutors should also motivate children to study on their own. Adivasi children who study in lower primary schools in their oorus do not learn to read and write until they join fifth standard. They struggle to keep up with the teaching in class and lose interest in studies,” he says with a tone of resignation. With the hostels short on infrastructure, it is not surprising that there is a lack of adult guardianship there. Apart from the warden, the primary and upper primary school children are generally left in the care of hostel ring leaders, usually older college students. “We help them with their homework, encourage them to speak in Malayalam and also, play football with them. We don’t have a field or a ball here but we hope to buy one for the hostel soon,” says Manikya, a student in the final year of his Bachelor’s degree. But it’s not just Malayalam or the love for football that the children pick up from the older students. Some parents complain that the younger children often emulate their seniors in other habits like chewing tobacco, smoking beedis, talking in foul language and fiddling with mobile phones. Manikkan, a professor and Adivasi activist hailing from Edawani ooru, decided to remove his son from the hostel in Pudur when he started using abusive language, a habit he believes his son picked up from his seniors. There is no strict adult presence to keep children in check and prevent them from going astray, he complains. Not everyone is as concerned of such possibilities as Manikkan, however. Even the basic facilities afforded by the hostels prove too strong a lure for the children and their parents. “I get everything here that I don’t have at home – food, dress, soap, all of it for free,” says Sunil. For the parents, the hostels are the only way of providing their children with a formal education. So, they worry that they will hold back their children by keeping them in the oorus, and send them away to far-off hostels and schools, sometimes as far away as 30km of rugged, unmotorable terrain and forest paths. Older residents of the oorus, however, worry that these children don’t hear the songs of life, harvest and death sung by the women. That they don’t learn how to cultivate ragi (finger millet) or chaama (millet), or how to collect wild honey from the forests. “Children are here for three months and away for nine months, so obviously there is a change in their behaviour. When they come here, they have to adapt to their own home,” says Kali, the moopan (community leader) of Edawani ooru. What’s more, after this long separation, many of the young men – irrespective of their degrees – eventually end up doing menial jobs like driving trucks or daily wage labour or idle their time away at home, thinking about the life they wish they were living. Women stick to the confines of their house and carry out household duties. Tavalam, a 28-year-old resident of Edawani ooru, for instance, spends his days taking care of his fields and occasionally making the long walk down to the nearest village Pudur for rations and groceries. "I finished my degree and worked at a plantation nearby. But for the last two years, I have been taking care of the fields at home. There is no guarantee you will get paid working in plantations," he says resignedly. In a similar situation is Manikya, who has been taking care of the small plot of land behind his house ever since he returned to Vechapathi ooru with his degree. Ironically, the benevolence of the government in providing services that have little or no connection to tribal culture, imposes on them a sense of uselessness. For now, though, these concerns don’t weigh as heavily on Sunil and his friends, as on their caretakers’ minds. They huddle in the courtyard discussing how they will sneak out to watch Ajith’s Vivegam and what they plan to do during the Onam holidays.